A travel expense claim shows the total amount of money you spend during a business trip. The document shows how you spent your money, and when you spent it. 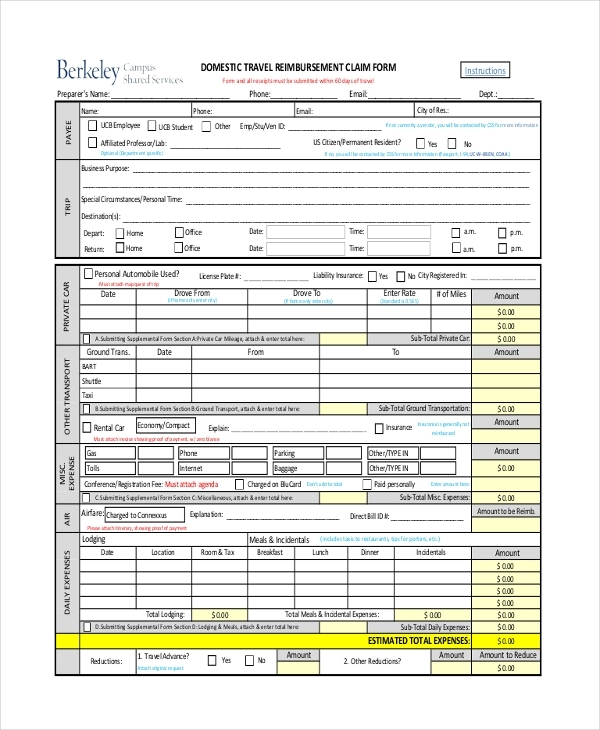 The accuracy of the form guarantees timely review and reimbursements. 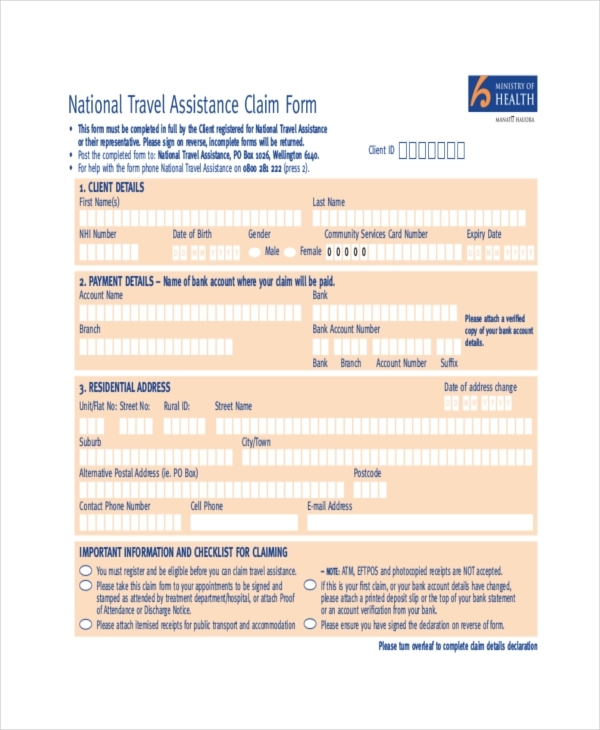 You can download this form for free and use it to fill out your travel guard claim. 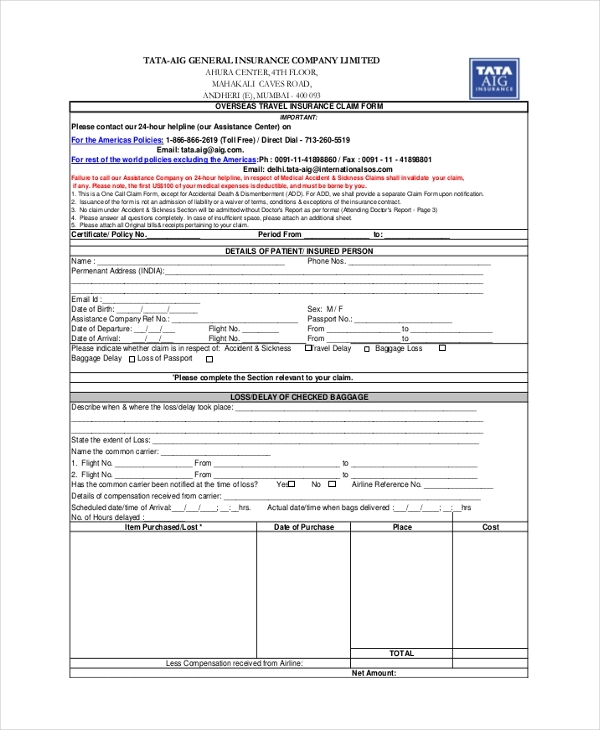 It is important to fill out and submit the form at the right time. Check with the relevant body in the company to know when it is appropriate to fill a claim form. 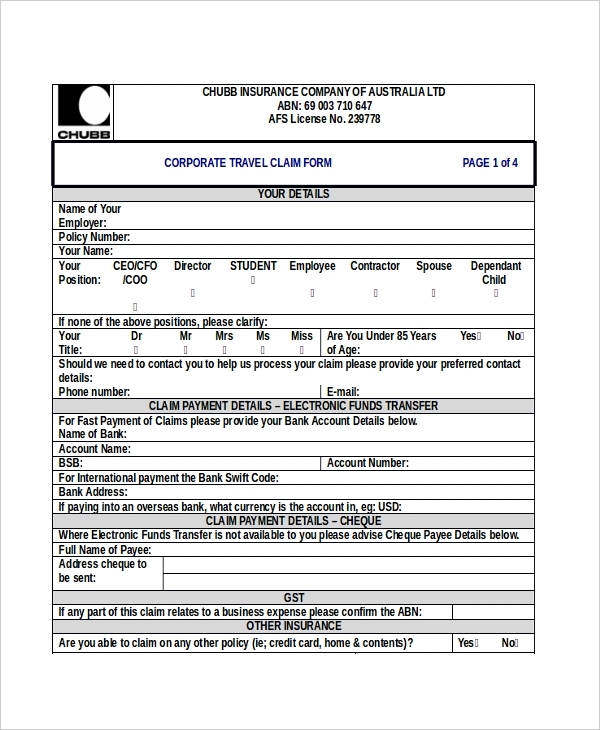 In case you use your personal car for business travel and it happens that you get into an accident, you can fill out a travel insurance claim form and you can claim recovery cost from your employer. 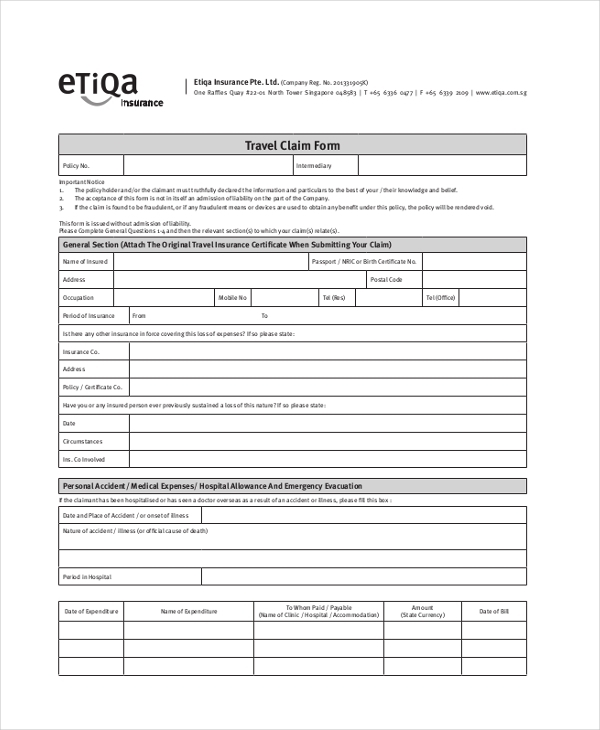 If you would like to make a travel allowance claim from your employer, you can use this template to do so. The template is easy to fill and ready to print. You can download this template for free. Students who travel for important training sometimes use their pocket money on the behalf of their school. It is important that they claim a refund from their institution, and the best way to do that is to fill out a claim form. An employer may request you to travel to a foreign country for business meetings. If you use your money to cater for your expenses, you can fill out the expense form below and use it to request reimbursement. 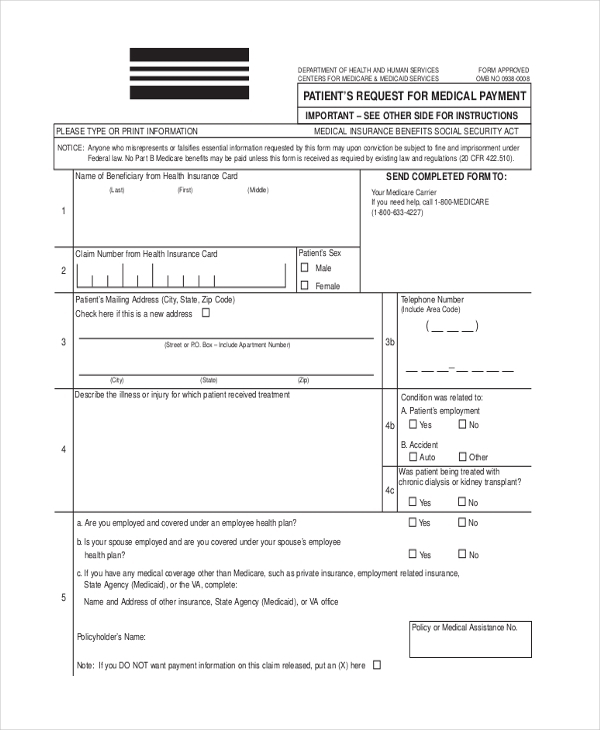 The reason for filling out this form is to make a timely reimbursement request. The details provided must be as accurate as possible; this helps to make sure you get timely reimbursement for money spent on the behalf of a business. 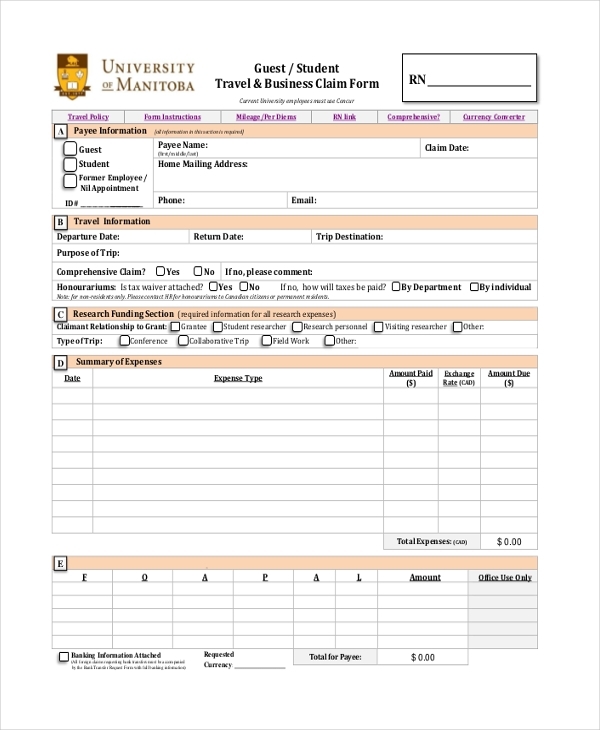 Download this form for free, and use it to fill out the expenses incurred during a business trip. The form is easy to fill, but make sure the information you provide is as accurate as possible. Your employer is more interested in knowing how much money you spent on a business trip. 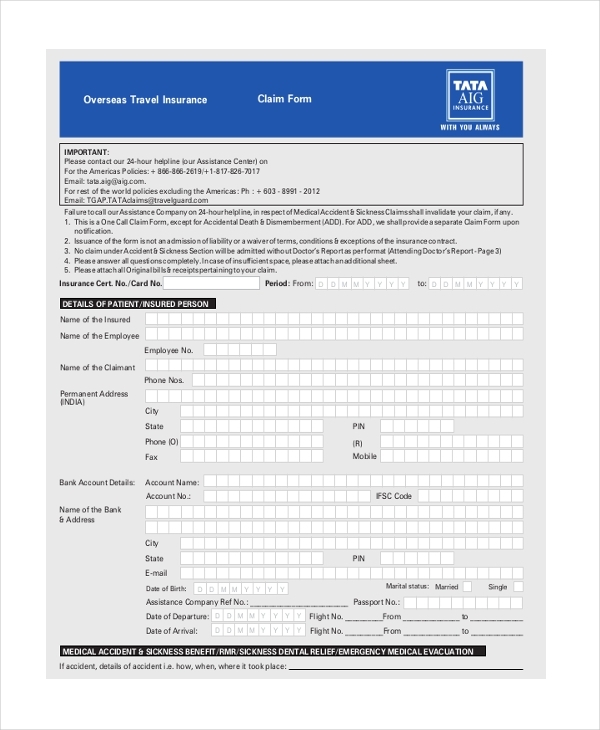 List all the expenses incurred during a business trip and the total cost of the claim by using this form. 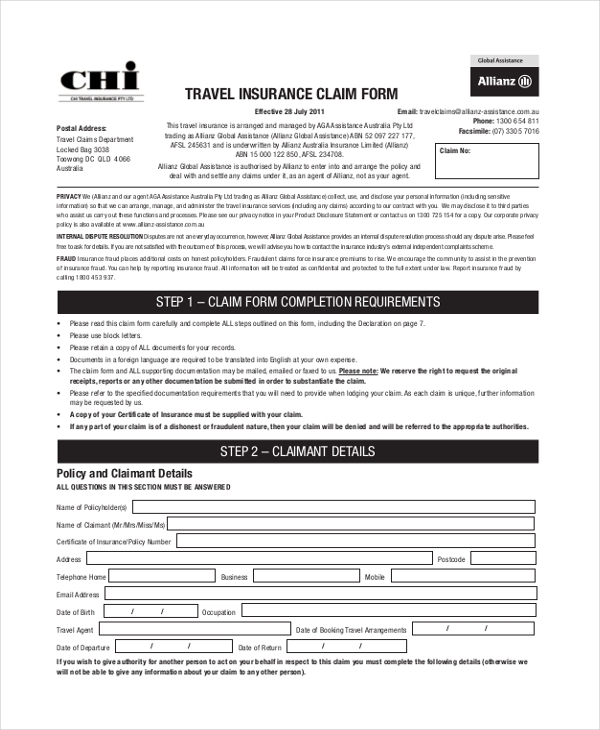 The travel claim form is the best document to use to outline where you incurred expenses during your travel. 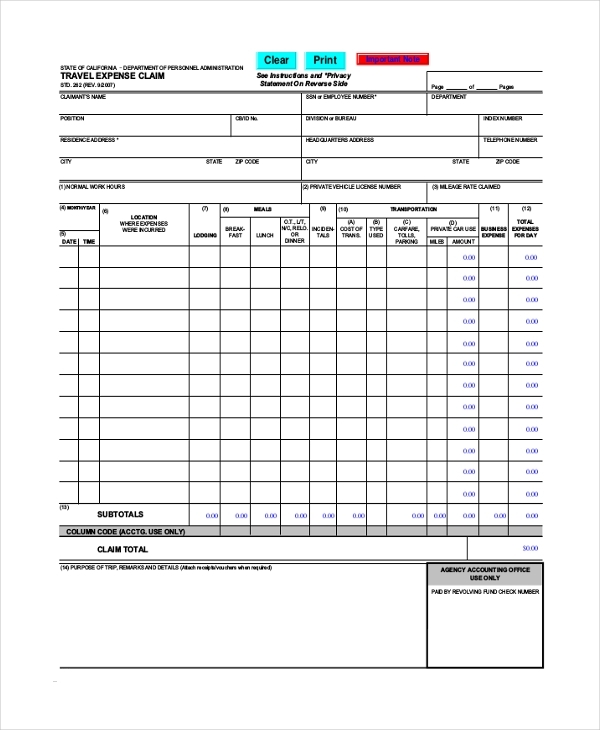 Fill out the total amount for each expense, and then calculate the total expenses. Finally, submit the form for reimbursement claims.